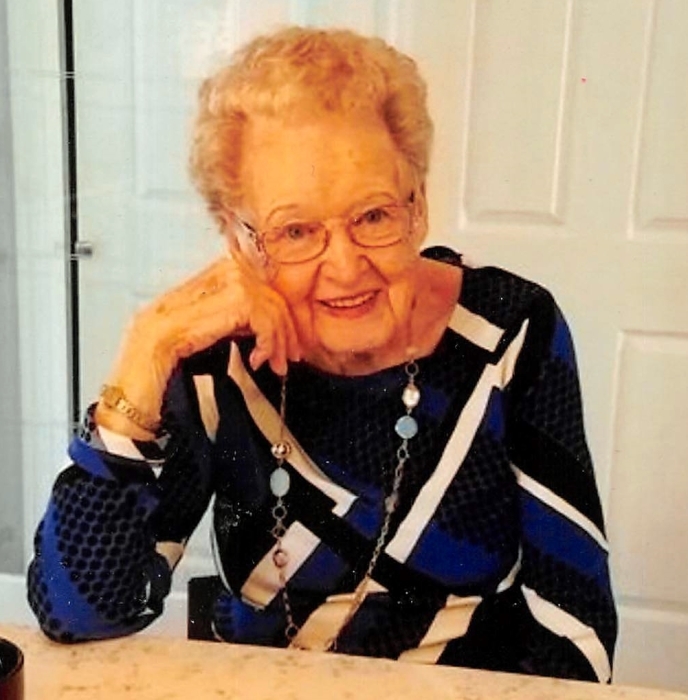 Martha J. Shunick, 93, of Galesburg, IL, formerly of Alexis, IL, passed away at 9:52 a.m., Friday, March 22, 2019 at Seminary Manor, Galesburg, IL. She was born August 3, 1925 in Brookfield, MO the daughter of Clarence Frank and Mary Olive (Brown) Lafferty. She was raised and educated in Monmouth and Alexis. Martha married John David Shunick in Rock Island, IL on Dec. 3, 1949 and he passed away on March 17, 1986. During World War II Martha worked at the Rock Island Arsenal. She later managed the Monmouth American Legion where she started the Kitchen at the Legion. She also worked for Hubie Hedrick in Monmouth for several years. She was a member of St. John’s Catholic Church in Viola and the Alexis Women’s Club. Martha was very active in the Alexis Cemetery Association. She loved her children dearly. Martha enjoyed visiting with others, traveling and cooking. Survivors include her children, David (Karen) Shunick of Palm Springs, CA, Steve (Connie) Shunick of Galesburg, IL, Frances (Robert) Unger of McHenry, IL, Nancy (Randall) Lowthorp of Burlington, IA and Judy (Steve) Full of Monterey, TN; 11 grandchildren; 19 great grandchildren; 4 great great grandchildren; 2 sisters, Helen Douglas of Rock Island, IL and Bonnie Conroy of Minneapolis, MN. She was preceded in death by her parents, husband, son, Doug Bennett; brother, Robert Lafferty and infant sister, Mary Lucille Lafferty. Funeral services will be at 11:00 a.m., Saturday, March 30, 2019 at McGuire & Davies Funeral Home and Crematory, Monmouth. Interment will be in Alexis Cemetery, Alexis, IL. Visitation will be one hour prior to the services at the funeral home. In lieu of flowers, memorials may be given to the Alexis Cemetery Association.